Australia is a land like no other with about a million different native species. More than 80 per cent of the country’s flowering plants, mammals, reptiles and frogs are unique to Australia, along with most of its freshwater fish and almost half of its birds. Australia’s marine environment is home to 4000 fish species, 1700 coral species, 50 types of marine mammals and a wide range of seabirds. About 80 per cent of marine species found in southern Australian waters occur nowhere else in the world. Australia has more than 140 species of marsupials, including koalas, wombats and the Tasmanian devil, now found only in the Tasmanian wilderness. Australia hosts another unique animal group, the monotremes – egg-laying mammals, often referred to as ‘living fossils’. The most distinctive is the platypus, a river-dwelling animal with a duck-like bill, a furry body and webbed feet. Australia is the driest inhabited continent on earth, and this makes it particularly vulnerable to the challenges of climate change. Since 2001, much of Australia has been in the grip of a severe drought. 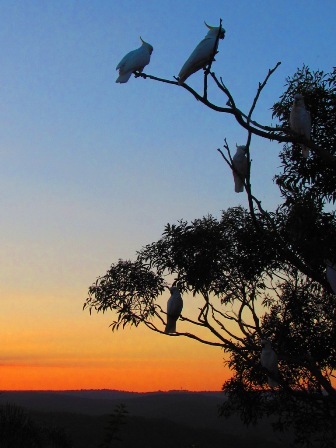 Climate change is likely to exacerbate Australia’s already variable environment, and presents a major challenge to Australia’s fragile environment with likely impacts on its biodiversity. It poses a particular threat to specific areas – such as Australia’s alpine regions, the Great Barrier Reef, tropical rainforests, and coastal mangrove and wetland systems like Kakadu. While rich in biodiversity, Australia’s soils and seas are among the most nutrient-poor and unproductive in the world. Only around 6 per cent of the Australian landmass is considered arable – one of the lowest proportions of any country in the world. Large volumes of water are required from both surface and groundwater supplies. Extraction from groundwater supplies for dry-land agriculture has resulted in a rising water table and increased salinity. Australian soils are highly dependent on vegetation cover to generate nutrients and provide stability. Land clearing, water extraction and poor soil conservation are all causes of a decline in the quality of Australia’s soils. At least 18 introduced mammals have established feral populations in Australia, with cats and foxes responsible for the decline and extinction of several native animals. Introduced plants also cause substantial damage to native vegetation and habitats. The pressure caused by human activity continues to take its toll on marine environments. Pollution is the most serious problem, with most marine pollution caused by land-based activities and processes, including soil erosion, fertiliser use, intensive animal production, sewage and urban industrial discharges. Water shortages are a serious threat to Australia’s economy and way of life. The Australian Government is investing $12.9 billion in a 10-year national water plan, Water for the Future. The plan provides a single, coherent, national framework that integrates rural and urban water issues. It will help secure water supplies for Australian households, businesses and farmers, as well as provide water to restore the health of Australia’s river system. Water for the Future focuses on four priorities. The first is taking action on climate change through emissions trading, supporting research, integrating adaptation responses into agricultural policies and helping communities and householders install solar hot water systems and photovoltaic systems. The second priority is using water wisely. That includes investing in rural water projects that help secure a long-term sustainable future for irrigation regions and returns water to the rivers, encouraging the installation of rainwater tanks and grey-water piping in households and surf lifesaving clubs across Australia and a program to encourage large commercial water users to save money. The third priority is to secure water supplies for households and businesses through measures including investment in desalination, water recycling and major stormwater harvesting projects and funding practical projects like pipelines, water saving infrastructure and water treatment plants. Finally, Water for the Future aims to restore the health of Australia’s rivers by buying back water entitlements from willing sellers, investing in projects to improve the efficiency and productivity of water use and management and setting up new arrangements to plan for sustainable water management in the Murray-Darling Basin – Australia’s food bowl. Of the 869 Australian reptiles, 773 are found nowhere else. The Australian Government is committed to the protection, conservation and sustainable use of the nation’s important heritage places. The National Heritage List is Australia’s premier heritage register and the product of national heritage laws that seek to both identify and protect the places of outstanding national significance. This list is made up of natural, historic and Indigenous places that have helped shape Australia’s national identity. To date there are 34 places on the list and it continues to grow. More than 11 per cent of continental Australia is protected, amounting to more than 900 000 square kilometres. There are more than 550 national parks and 6000 conservation areas protected by federal and state or territory legislation. Additional protected territory includes Norfolk Island, Lord Howe Island, Christmas Island, Macquarie Island, Heard and McDonald Islands and Antarctic Special Protection Areas. More than four million people visit Australia’s national parks every year. Australia’s evolving National Reserve System aims to include samples of all ecosystems at an appropriate regional scale. It includes national parks, Indigenous Protected Areas, nature reserves, conservation parks and protected areas on private land. Australia has 200 marine protected areas, which cover almost 65 million hectares. They include the Great Barrier Reef Marine Park, fish habitat reserves, fish sanctuaries and conservation areas. The Australian Government is responsible for 31 areas and the others are managed by the states and territories. Title to Kakadu, Uluru–Kata Tjuta and Booderee national parks rests with Indigenous land owners. They lease these areas to the Director of Parks Australia to be managed as national parks. Management boards with Indigenous majorities determine policy and provide direction for nature conservation and visitor management programs at these parks. Kakadu National Park is located in the Northern Territory 120 kilometres east of Darwin and covers almost two million hectares. The rich natural resources of Kakadu have sustained human habitation for at least 25 000 years. Uluru–Kata Tjuta National Park covers 132 566 hectares in the centre of Australia and is owned by the Anangu people. Booderee National Park is located in New South Wales and measures 6400 hectares. The traditional owners continue to use the region as a natural classroom for young people and as a source of food and medicine. The Australian Government’s $2.25 billion Caring for our Country initiative includes a new investment of more than $180 million in a network of parks and reserves around the country to help tackle climate change. The parks will help protect key habitats for native species that are particularly vulnerable to the impacts of climate change, such as the mountain pygmy possum, tree kangaroos and hare wallabies. There are 17 Australian properties on the World Heritage List. The Great Barrier Reef, the Tasmanian Wilderness, the Wet Tropics of Queensland and Shark Bay meet all four World Heritage criteria for natural heritage. Kakadu National Park, Uluru–Kata Tjuta National Park, Purnululu National Park, Willandra Lakes region and the Tasmanian Wilderness are listed for both their natural and cultural value. The Australian Fossil Mammal Sites, Lord Howe Island Group, Central Eastern Rainforest Reserves of Australia, Fraser Island, Macquarie Island, Heard and McDonald Islands, and Greater Blue Mountains Area are listed under the World Heritage criteria for natural heritage. The Sydney Opera House in 2007 became the second building in Australia to achieve World Heritage listing. Since its completion in 1973, the Opera House has captured the imagination of people the world over and become a cultural symbol of the Australian nation. The first Australian building to be listed for cultural values was the Royal Exhibition Building and the surrounding Carlton Gardens in Melbourne. The Great Barrier Reef stretches over 2000 kilometres and covers an area of almost 35 million hectares on the north-eastern continental shelf of Australia. It runs from north of Fraser Island to the tip of Cape York and provides habitats for many forms of marine life. It is an important breeding ground for humpback whales. Located on the state’s north-east coast, the Wet Tropics of Queensland cover 894 000 hectares of rainforest wilderness and are centred on the Daintree River valley. The rainforest contains an almost complete record of the major stages in the evolution of plant life on Earth and provides the sole habitat for many rare plants and animals. It contains the widest range of animal species in Australia. The Tasmanian Wilderness covers about 20 per cent (1.38 million hectares) of Tasmania. One of only three temperate wilderness areas remaining in the Southern Hemisphere, it contains rocks of every geological period and is a major centre for plant diversity. Its Huon pines – some of them 2000 years old – are among the most ancient trees in the world. It is a stronghold for several animal species that are now extinct on mainland Australia. The wilderness contains the most southerly site yet found bearing evidence of human occupation during the last ice age. Shark Bay lies on the westernmost point of the Australian coast and covers an area of 2.3 million hectares. Three major climatic regions meet at Shark Bay and it contains an extraordinary number of marine and land habitats. It is an important reserve for many endangered animals and contains diverse and abundant examples of stromatolites – the oldest form of life on Earth. 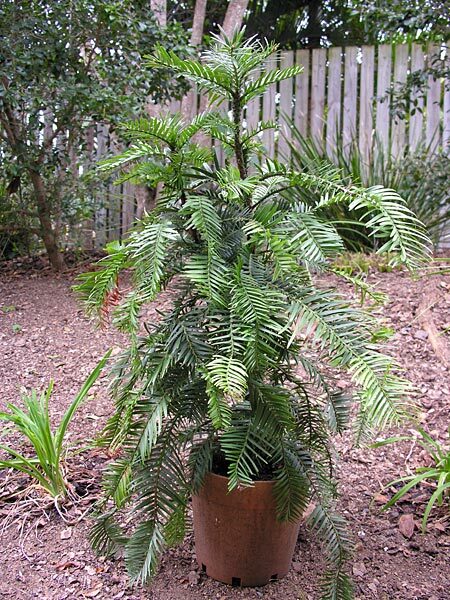 In 1994 the Wollemi Pine was found in a remote valley in the Blue Mountains of New South Wales. It is believed to be representative of trees that existed at the time of the dinosaurs, making it a species that has been around for 65 million years. Photo of the rare Wollembi Pine Tree. 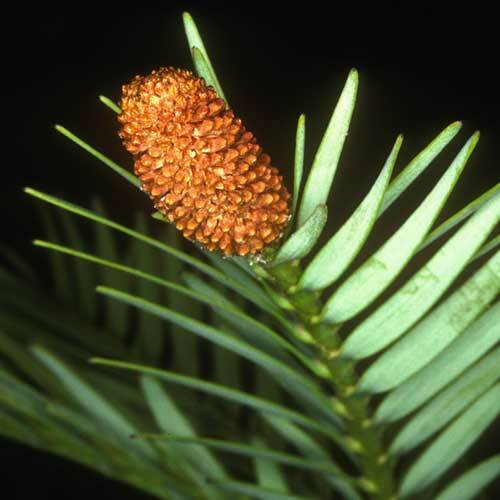 Flower of the Wollembi Pine Tree. Good post. Australia is a very great and unique country in the world. This blogger has been described very well.